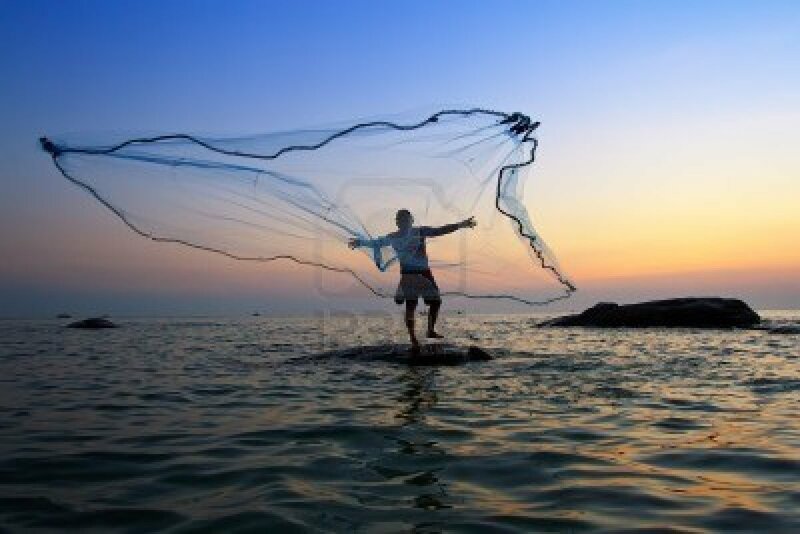 Sometimes we just need to do a little Fishing! Well, to be more specific – we just need to do a little casting. Everyone of us is invited to ‘cast’ all our cares onto the Lord and to trust that he will sustain us through all the issues we are facing. What an awesome promise, don't you think? So, how about it then? Are you tired of trying to do everything alone? Why don’t you cast your cares onto Jesus and see what happens? "Every Life leaves after an AFTERGLOW – this could be an inspiration of goodness, beauty, passion for something, truth, or anything else..."
If you have ever watched a glorious sunset, you will note that just after the sun has sunk below the horizon, there is a moment when the light is good for photo's - it could be called an 'Afterglow' of sorts. 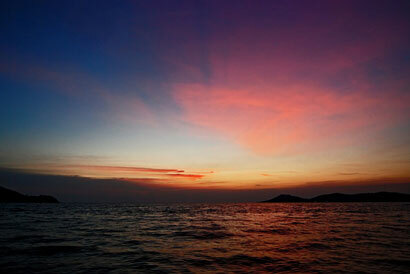 The day has come to an end, but there is still something left for us to marvel at. When Jesus died, all his enemies thought they had triumphed over him, but Jesus had a long Afterglow. In fact, the Afterglow of Jesus' life still lives on in the presence of his Spirit. He may have returned to the Father, but the Holy Spirit remains with us forever. May you bask in the afterglow of the presence of Jesus and may you be touched by his grace. John 11:25 - Jesus told her, “I am the resurrection and the life. Anyone who believes in me will live, even after dying. Don't be despondent - God is not finished with us yet. Philippians 1:6 - And I am certain that God, who began the good work within you, will continue his work until it is finally finished on the day when Christ Jesus returns. 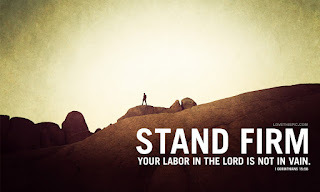 When God starts a work in us, we mustn't get discouraged if things don't happen according to our time frame - God is still going to carry on the work in our lives. We need to be patient and trust in God's perfect timing. Over the course of this last holiday we have had the privilege of hosting a Children's Holiday Club. It was so heart-warming to see all the children having loads of fun and learning all sorts of things. The theme was 'Survivor', based on the hit TV series, and the kids learnt about how to 'Survive' as Christians in the 'jungle' of Life. important it is to teach Children the things of faith while they are young. As we get older we complicate faith and Christianity in so many ways, but the beauty of kids, is that they love God unreservedly. Proverbs 22:6 -Direct your children onto the right path, and when they are older, they will not leave it. This is not a guarentee that our kids will walk in the ways of Jesus, but at least they would have heard of the Gospel and of God's grace. A huge thank you to all the Leaders and to Kim who arranged it all - you all have outdone yourselves. How long does your cell phone battery last? A day? Two days? 5 hours? I suppose it all depends on what you use your phone for and what make of phone you have. Regardless of the age of your phone or how much you use it, there is one thing common amongst all of us phone users..... Our phones ALL NEED a recharge. So, take a look at your life at the moment. Does the same principle not apply to your life? Regardless or how busy you are, how old you are, or whatever else we may add to the mix - the principle is still the same. WE ALL need a time to recharge. God called it a SABBATH. Phone companies call it a recharge. It's the same thing. We can't work effectively and honour God with our lives if we have no 'power' in our souls. The gift of the Sabbath is that it offers us a chance to rest and to reconnect with God and ourselves. Perhaps there are a few of us who are needing to be recharged at the moment! What you are doing about it? Remember a phone that has no power is useless. Likewise a human spirit with no power can also be rendered useless. Exodus 16:23 - “This is what the Lord commanded: Tomorrow will be a day of complete rest, a holy Sabbath day set apart for the Lord." Exodus 16:29 - "They must realize that the Sabbath is the Lord’s gift to you." Luke 23:56 - "But by the time they were finished the Sabbath had begun, so they rested..."
I love the sentiment of these words. It reminds me that when we begin our lives anew with Christ that he takes the broken, discarded pieces of our lives and he makes something amazing out of them. Others may look at us and think that we look unattractive or even a pile of ‘junk’ but that is not the way that God sees us. 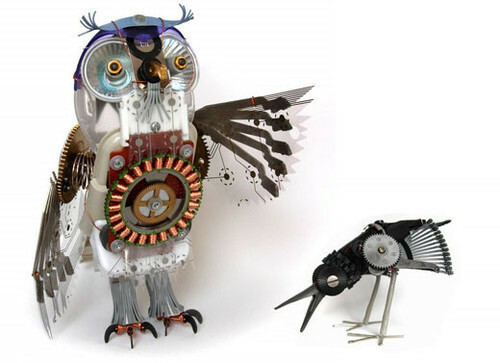 There are numerous artists who take scrap metal and make something incredible out of it – look at the picture attached. In a spiritual sense that is what God does for us. We were all bent out of SHAPE by the sin in our lives – and maybe we were consider worthless, but through God’s LOVE and GRACE, he made something awesome out of our mess. Prayer: Thank you Lord that in your eyes I am not a piece of junk, but rather a beautiful human being, filled with enormous potential and with a unique to make. 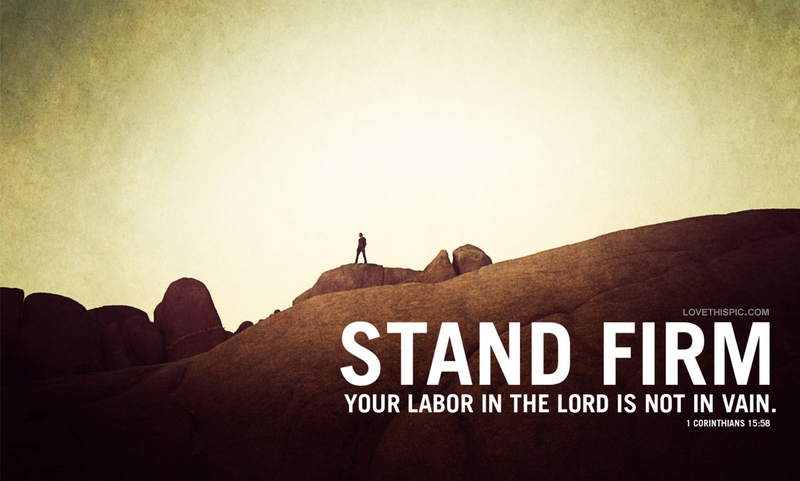 "Therefore, my dear brothers and sisters, stand firm. Standing in the ocean is a therapeutic experience for me. I love it! I love the sight of the waves rising before me and then bracing myself for the imminent crash over my body. Sometimes I even move my feet deeper into the sand, giving myself a greater chance of standing firm. I find that I can withstand the waves up to a certain point, but soon a bigger wave arrives that knocks me off my feet. Quickly I need to get back onto my feet and face the next set of waves. This analogy can be helpful in your own spiritual walk. 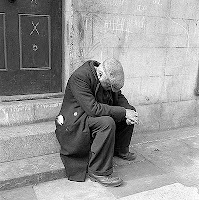 We are encouraged by St. Paul to 'stand firm' and to 'Let nothing move you', but what happens when we are knocked over? Well, I feel that we then need to rise again and bury our feet in the 'sand' of God's love and grace - in that way, we are not letting things move us or defeat us. What do you feel? May God continue to bless you and hold you in the palm of his hand. 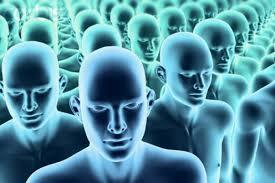 You are not a clone! We spend an huge portion of our time wishing we were someone else. Somehow we are been lead to believe that person God created (us) is not good enough and so we seek to become someone else. It is very tiring trying to live like this. We become disillusioned with pretending to be someone funny, clever, spiritual, sporty, musical, handy, good-looking or whatever else seems right. God never intended this to be our life path. God never wanted us to feel second-rate or to feel that He made a mistake. God created us all unique and God did this on PURPOSE. If he had wanted to make us all clones, he could have done that, but then the world would have been a boring place. God wants us to marvel at our uniqueness and to celebrate his imprint in each of our hearts. 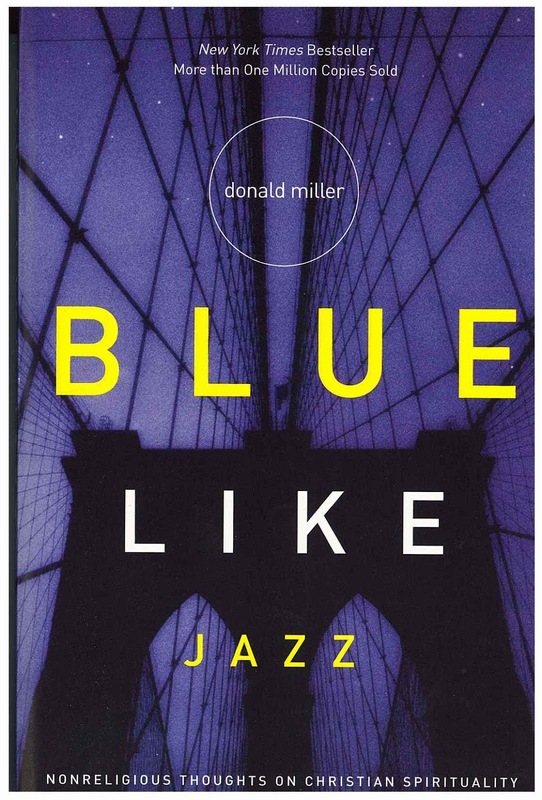 Donald Miller wrote a wonderful book called Blue Like Jazz - it is not your ordinary Christian book, but it certainly challenges your faith on so many levels. The thing I like about his book is that he is completely honest about his struggles as a Christian, which is a very humbling thing to do. On the surface it would be easy to assume that Donald has it all together and that he is living life as a "successful" Christian author. However, he is not into pretences, and this makes his book so refreshing. I highly recommend it, if you are looking for something to read next. There is this one quote in the book that has been coming back to me, again and again. I offer it to you today as a form of challenge. We will all face them at some stage in our lives - they are called DEFINING moments. They are moments where we walk so close to the mystery of death that it is almost as if we can look into the LIFE beyond. They are moments that bring our earthly lives into sharp reality and where we do soul searching like we have never done before. 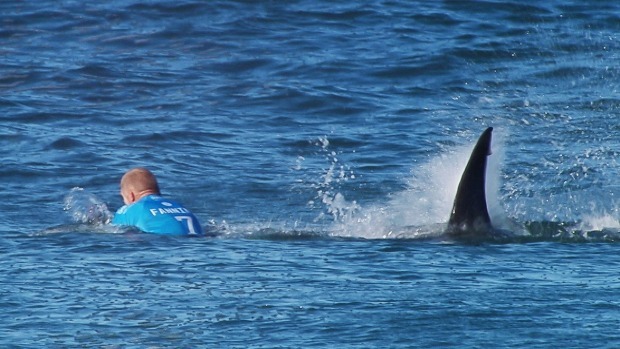 Australian Surfer Mick Fanning had one of those moments over the weekend, where he was attacked by 2 huge sharks while surfing at Jeffery's Bay - and he lived to tell the tale. In case, you missed the whole incident, the photo on today's blog is taken from that incident. I am not a prophet, but I am convinced that Mick will LIVE his life differently this week. I am sure that he will appreciate his family and friends a whole lot more. I am sure he will enjoy his health (and legs) more than he did last week. This is what DEFINING moments do for us - they change us. What has been a defining moment for you? We don't have to wait for a 'near death' incident to appreciate all that we have. Take a moment to thank God for all the blessings in your life. On Sunday I got to witness something that I will never forget as long as I live. We witnessed sardines being forced into a bait ball by a pod of dolphins and then watched as the dolphins came in to feed on the masses of fish. I have seen this on TV before, but never in real life. It was truly amazing. The team work of the dolphins was incredible - it was so well orchestrated and it showed that they were really working together for the common good. 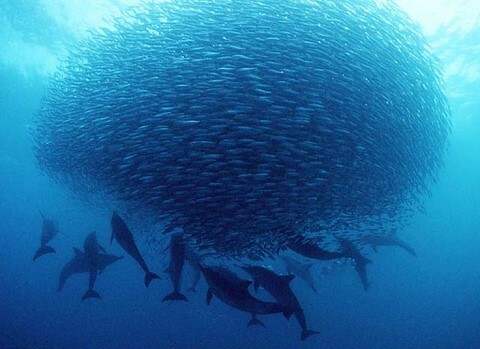 It would have been a complete failure if each Dolphin had said to the others, "Hey, let's each fend for ourselves!" Sure, they would have eaten a few fish, but they would never have had as much success as they did as a TEAM. We are easily tempted to do LIFE on our own. We think that we don't need help or anyone else to support us in our ventures, but we do. Christianity knew nothing of solitary faith for nearly 3 Centuries. It was only later that Christians moved out of community to find 'peace' with God in the desert. Yet, even when the Monks moved away from the temptations of the city, many of them joined together to work as a team - to be in community. · Ecclesiastes 4:9-10 - Two are better than one, because they have a good return for their labour: If either of them falls down, one can help the other up. But pity anyone who falls and has no one to help them up. As you go through your day, see how you can support someone else and if you need help, don't be afraid to ask someone. The best thing you can do right now is to finish what you started last year and not let those good intentions grow stale. Your heart’s been in the right place all along. You’ve got what it takes to finish it up, so go to it. Once the commitment is clear, you do what you can, not what you can’t. The heart regulates the hands. This isn’t so others can take it easy while you sweat it out. No, you’re shoulder to shoulder with them all the way, your surplus matching their deficit, their surplus matching your deficit. May these words from The Message encourage you today. I think this quote is awesome. So, WHAT are you living for? Romans 14:9 - For this very reason, Christ died and returned to life so that he might be the Lord of both the dead and the living. Where does your bitterness drive you? I can't, but God can!